Google cracks down on addiction treatment advertising: What does it mean? Last month it was announced that Google, citing patient safety and lack of transparency by treatment centers in their online marketing practices, would be restricting ads and other paid-for marketing in searches performed by those seeking help and treatment for addiction. Quoted in a New York Times article , Google spokeswoman Elisa Greene said in a statement that “We found a number of misleading experiences among rehabilitation treatment centers that led to our decision.” This crack down by Google sends a strong message, as internet marketing is a huge spend for many rehabs and treatment centers and Google stands to lose millions upon millions of dollars due to restricting such practices. Much of the praise for this move by Google can be traced back to the nonprofit advocacy group Facing Addiction, which although not a treatment provider, began to learn about shady online marketing tactics of treatment centers when it attempted to create a footprint for its organization online. The group and co-founder Greg Williams found themselves priced out of the online marketplace, as detailed in this article in The Huffington Post. However, while Greg Williams and Facing Addiction may have just recently learned of questionable online marketing practices of many rehab facilities, many veterans of the addiction treatment field have been aware of such unethical or even illegal practices for many years. Unsavory and questionable internet marketing practices are not new in the addiction treatment field. For many that work within the industry, it is well-known that certain rehabs spend over $1 million dollars monthly on paid for advertisements on Google and that many treatment centers have built their entire organizations on the back of internet marketing. Unfortunately, this type of marketing platform supports many of the unethical practices that forced Google to finally take action. So what are some of these internet marketing practices, often used to trick or deceive individuals or families in crisis? How have many rehabs and treatment centers within the addiction treatment industry unethically and immorally leveraged online marketing tactics to mislead patients and families, bait and switch them, coerced them or outright lie to them to get them through their doors? — Google AdWords and Pay-Per-Click. Advertisements on Google are meant to be seen by customers at the top of a search paid. They are paid for advertisements and are meant to keep a company, product or service at the top of the page and therefore look like the top search options. However, treatment centers spend thousands and millions of dollars for these ad, paying for results when a potential patient or family click on their web site. However, it is easy to manipulate the results. Until Google took action, treatment centers around the country would pay to have their results at the top of pages for millions of search terms. This is why someone in Maryland searching for “addiction treatment, Maryland” would receive results with top of page ads promoting treatment centers from different areas of the country. — Generic landing pages owned by rehabs. One way rehabs and treatment centers attract patients is by creating generic addiction treatment web site landing pages. These are pages owned by treatment centers meant to drive “traffic” or “leads” to call centers or treatment centers but without the patient’s or family’s knowledge. The caller thinks they have found an objective, educational web site that can “help them find the best treatment option” but in actuality are calling a specific treatment facility. — Independent landing pages and call centers. These web sites are meant to filter calls to call centers that then sell those “qualified” leads to the highest bidding treatment center. This is a marketing practice used in many other industries and on the surface may make sense. Until you realize that we are dealing with human lives. This is not a car warranty or a home security system. These callers are not “leads” or “insurance policies.” These are individuals and families in crisis, desperate for guidance and looking for life-saving treatment. They have no idea they are being bought and sold as commodities. This unconscionable practice is not even the fault of the call centers or helplines. They are typically businesses owned by individuals with a background in marketing in other industries. The fault here lies with the treatment centers and rehabs who continually engage in this practice. — Stealing or changing other facilities information online. A newer practice has been treatment centers, call centers, lead generation services and other organizations “hacking” into the Google business listings of other treatment centers, hijacking and changing the listing information and rerouting calls to their own treatment center or helpline. So when a person Googles “drug rehab Virginia” they may see a listing for a facility located in Virginia. However, when they call the listed number (a hijacked number) they are put in touch with a different facility or a call center that has never heard of the facility the caller was trying to reach. However, they will offer other options or “better” options, which again are treatment centers that have paid for those “leads.” Now that many within the addiction treatment industry, as well as Google, have become aware of this practice, many call centers or rehabs have gone to hijacking numbers of Google business listings of addiction-related service numbers, like numbers to local Alcoholics Anonymous or Narcotic Anonymous service centers or independent 12 Step or other self-help meeting houses. — Fake location listings on Google. For years one way unscrupulous treatment facilities would attempt to trick unsuspecting callers would be through the use of virtual office locations or physical P.O. Box listings. A person would search for “heroin addiction treatment in Connecticut” and be given listings of treatment centers being listed in Connecticut. On the Google map the treatment center would even be listed as having a location in Connecticut. However, after calling those listings the caller would often find the treatment center had no location in Connecticut or even within the region, but would possibly be located in Southern Califiornia, Florida or Arizona. However, the inbound caller would be coerced or told that their chances for recovery were better if they “left their area” or that needed to “change people, places and thing” in order to recovery. — There is little doubt that as America’s addiction epidemic has escalated, coupled with the access to insurance through the Affordable Care Act (ACA), many treatment centers nationwide have taken advantage of individuals and families in crisis through unethical online marketing strategies. Many of those practices described above along with supplemental shady or questionable practices were described in a recent article by Cat Ferguson titled “How Disreputable Rehabs Game Google to Profit off Patients.” With Google finally taking steps to curb some of these practices, what does that mean for the addiction treatment industry and from those individuals and families seeking help? 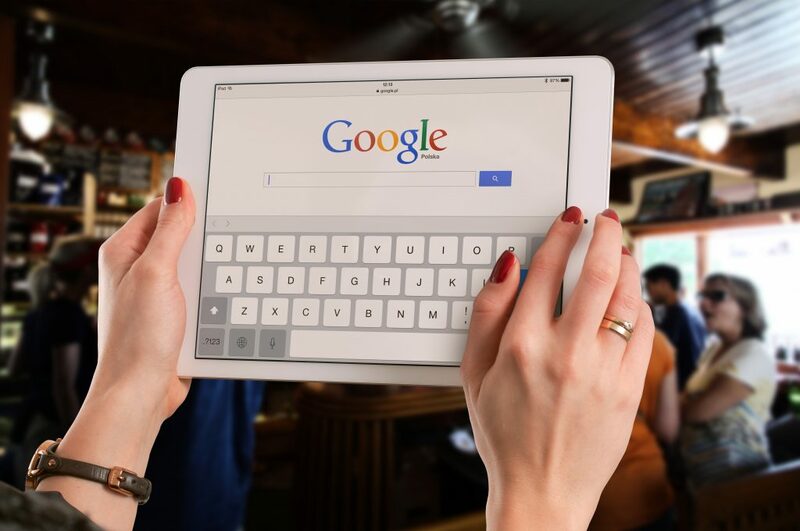 Hopefully the first major change Google’s new restrictions will cause is it will do away with the majority of online advertisements that appear during searches for addiction treatment that often confuse individuals and families. This change will therefore allow organically for actual facilities to show up correctly when someone searches for rehab or treatment in their local or regional area. Rather than being bombarded by paid for advertisements of treatment centers spending millions of dollars in advertising and getting confused and overwhelmed in the process, individuals and families will be able to find actual facilities in their communities or search for specific, qualified rehabs that specialize in certain needs nationwide. Another hope from the Google crackdown will be that perhaps the addiction treatment industry will become more like other treatments in the medical field, where patients are referred to specialists by trusted medical professionals rather than having to rely on themselves and the internet to find help. Think about it. If you have a loved one with cancer, how does the process go? First, that loved one has symptoms and goes to their trusted primary care physician or an ER. Once diagnosed, they are given an actual referral to a specialist, someone that the primary care doctor or doctors in the ER know is a skilled practitioner in the field regarding that type of care and often have worked with previously. You and your loved one go to that specialist for a consult, the doctor reviews that information and gives a course of action they believe will give your loved one the best chance of recovery from that cancer. Not only that, but the doctor tells you that you are welcome to go get a second opinion. You seek out friends, family, colleagues and other connections to ask if they have gone through something similar or if they know someone who has. You ask what doctor or hospital they went to and how was the experience. This is not what happens with addiction treatment. Instead, what happens is that your loved one finally admits to you they are having an issue with drugs and/or alcohol. Let’s say they come to you and admit to an opioid addiction. This is a scary and overwhelming situation, just like a cancer diagnosis. However, because of the stigma of addiction and the shame and guilt and secrecy that accompany it, rather than calling friends or family or a trusted therapist or doctor, most people’s first thought it run to the internet and find a treatment center. Trying to navigate all the online ads and rehab web sites is confusing and overwhelming. You call some and ask questions, although you don’t really know what to ask. And many rehabs tell you whatever you or your loved one wants to hear to get them through the door. They don’t inquire about the clinical issues of your loved one, but rather quickly attempt to get your insurance information. They explain why their approach to treatment will be best, regardless of what type of treatment approach they offer. They sell you on their services, rather than finding out about your loved one to truly get an understanding of their needs. If they are local to you, they tell you why staying close to home is best. If they are far away, they tell why your loved one needs to be removed from the local area. And you have no way of vetting this information. You feel scared, alone and confused. They don’t offer you to come in and meet them or to get a second opinion. They tell you to put your loved one on a flight as soon as possible, fly them across the country to a place you’ve never seen based on a phone call or two or a nice looking web site. Ask yourself this: Would you be acting this way if the diagnosis what cancer or heart disease or diabetes rather than addiction? What the crack down on these online advertisements will hopefully do will be to create a true network of addiction treatment professionals, therapists, psychiatrists, interventionists, doctors, etc. that become the place that people will turn to in crisis. They will be well-versed in treatment options and how to appropriately clinically assess patients and guide patients and families to the best help possible. They will be able to offer firsthand knowledge and understanding of rehabs and put those in need in touch with patients and families that have firsthand experience with those providers. Since the creation of the Affordable Care Act too many treatment centers have opened and built and grown their facilities through online marketing. They have not created relationships (true relationships!) with medical and addiction treatment professionals, therapists, interventionists and case managers, hospitals, colleges and other community organizations. They have instead treated patients as leads with a “heads-in-beds” approach. This is an amazing way to increase revenue and growth in a business. This is a very poor way operate an organization whose number one goal must be patient care. Therefore, the hope is that this Google crackdown on online marketing tactics will decrease the ability of these types of treatment providers to operate, leaving those facilities that understand it takes village to treat addiction left standing so that ultimately those in need will always be steered in the best direction for their specific circumstances. The very best medical care has always been built on the strength of high quality providers and specialists working together as individuals and organizations to offer patients the very best each step of the way to meet their specific needs. Addiction treatment, however, has been a fragmented field often ripe with competition and unethical practices. Underhanded and shady online marketing practices not only supported such behaviors but allowed them to thrive. Hopefully, this important step forward by Google will help lessen or outright rid the addiction field of such online marketing practices and allow the ethical addiction treatment operators that put patient care first to work together collaboratively to best serve patients, families and communities in need.